To further develop their business Alex McCoy needed a website. Just any web site wouldn't do they needed a site that reflected their professionalism. 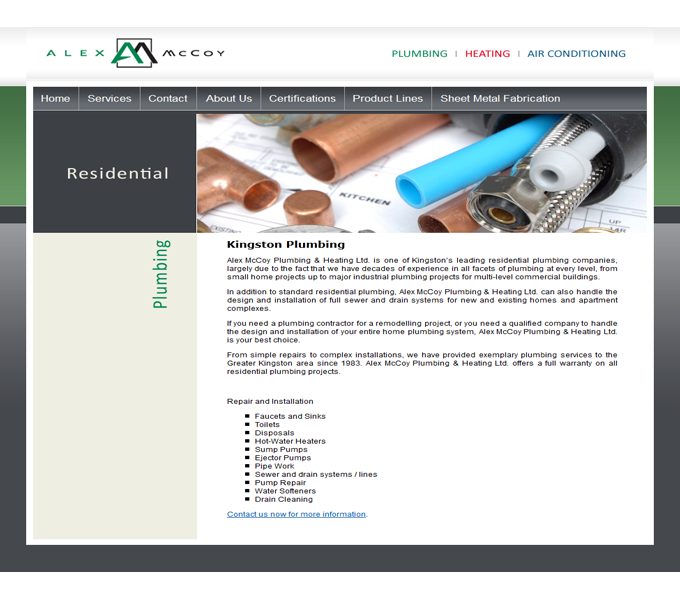 That is were the Kingston Web Design experts at KL Insight stepped in and provided Alex McCoy Plumbing with a high quality, professional site that reflects their core values. To develop a site that emphasized the core values of the business while providing important information to existing and new clientele. 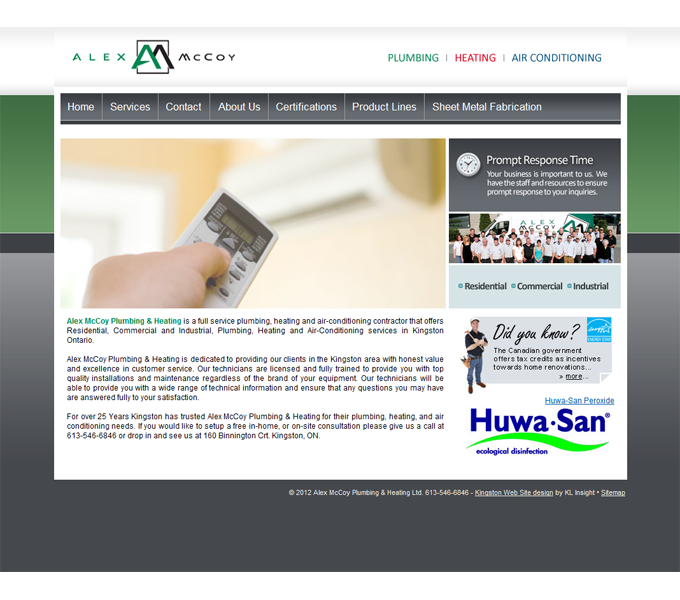 By working closely with Alex McCoy Plumbing KL Insight was able to develop a professional look and feel that allows Alex McCoy to highlight, and provide important information about the services and products they offer.